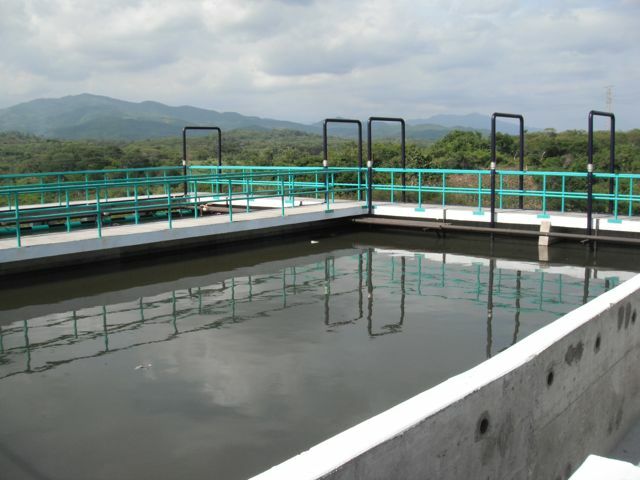 The big news on Zicatela this spring was the opening of the new sewage treatment plant. 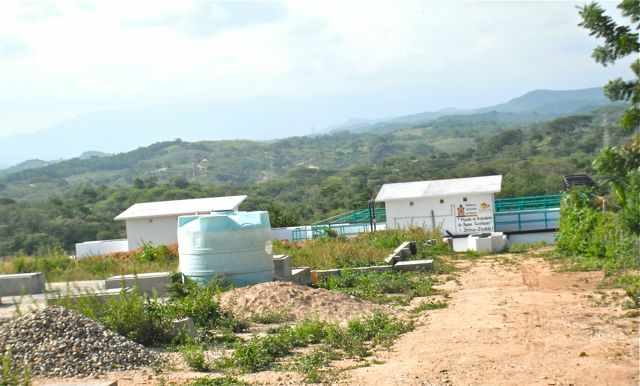 Goodbye to septic tanks and tanker trucks carrying black water; now most of Zicatela’s hotels and restaurants are connected to the new plant located above the army base in Lázaro Cárdenas. 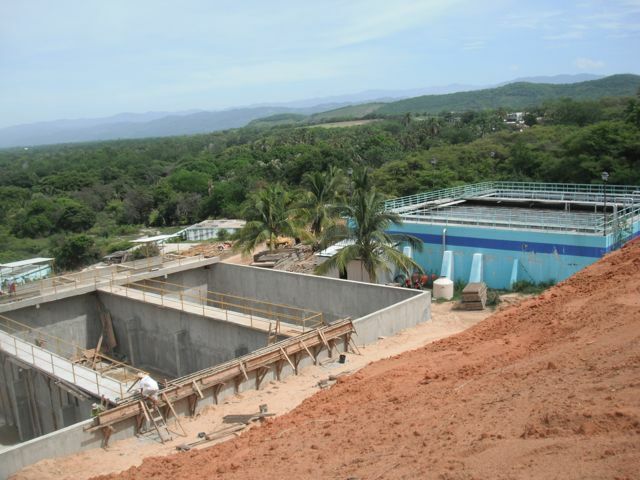 When it reaches full capacity, this plant will also serve the neighborhoods of Santa María and Tamarindos. The plant that handles most of Puerto’s sewage is located in Punta Colorada. It was built in 2005 but did not become operational until 2011. There is also a smaller plant in La Parota. There are plans to build a plant some time in the future for the communities of Lázaro Cárdenas and Emiliano Zapata as well another installation in La Parota. 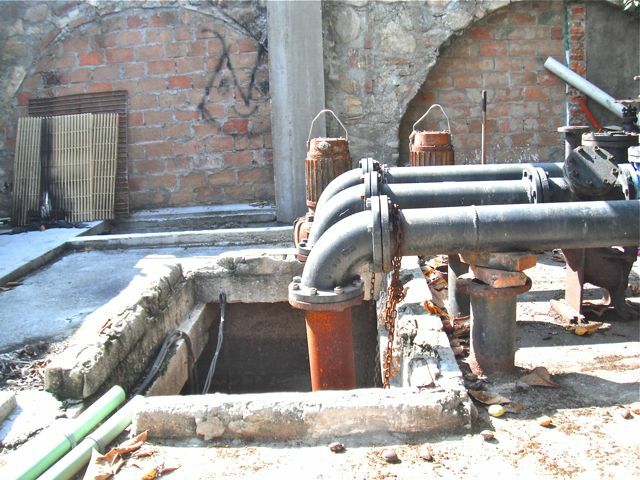 When sewage cannot flow downhill through pipes to a treatment plant, it is necessary to have a tank with a pump (cárcamo). The sewage from Zicatela goes to the cárcamo at the bottom of calle Bajada de las Brisas. There are also cárcamos of various sizes for Bacocho, Eglantina, Pueblito, the Adoquín and Regadío. Cárcamos have also been installed - but are not yet connected – in Carrizalillo, Puerto Angelito, and Manzanillo beaches. Even with all this investment in infrastructure, Puerto still has a way to go, as engineer Santiago Aguilar Sánchez, the administrator for the State Water Commission (La Comisión Estatal de Agua), is the first to admit. The city sewer system is a service like electricity, and the city does not have the power to force businesses and residences to pay to connect to it. As Puerto grows, people build houses without septic tanks or with septic tanks only for toilets and not for grey water, or they just let their sewage flow into creeks. People also throw household garbage into the dry creek beds and gullies. When the rains come, the creeks fill up and run into the ocean, especially through the Regadío lagoon on Playa Marinero. The solution to this problem, according to Sr. Aguilar, is a change of the local culture regarding dumping waste in the creeks and the active participation of the municipalities when it comes to implementing and enforcing building codes. Meanwhile, a citizens’ group, including hotel owners and restaurant owners and other people in the tourism sector, has formed with the declared purpose of coming up with a plan for clean beaches. At a meeting at the Hotel Olas Altas on August 14, the Movement United for the Rescue of Puerto Escondido (Movimiento Unidos por el Rescate de Puerto Escondido) elected the engineer Deciderio Urtíz Magaña as its president. Pablo Carrasco Rivera was chosen as secretary, and Ana Bramlet Ríos as treasurer. The three official spokespeople are Austreberto Garfías Arandía, Fernando (el Tío) Plutarco Alcantara and Silvestre Garibay.